When it came time for me to do this month’s book column, I just took a little thumb-through of the bookshelf by my desk, looking for a set of books that had something—anything—in common. After two minutes I came up with four books that all draw their imagery from “found” sources. I’ve always loved collage. Whether it’s cut and paste in Photoshop, or good, old-fashioned glue and scissors, collage is perhaps the most democratic, equal-opportunity art form. Anyone can do it. And as these examples show, it’s the perfect foundation for a book. This is Ethan Persoff’s second appearance in Kent’s Book Corner. Frankly, the guy just really knows how to tell a story with pictures. Radio Wire is a creepy tale of obsessive love born in the midst of an alcohol-fueled romantic breakdown. This pocket-sized graphic novel incorporates a lo-fi aesthetic that brings to mind a late ‘80s Mac Paint style that fits the voyeuristic narrative perfectly. Now, if only Ethan would release Book 2, I could find out what happens next. Artist Guy Benjamin Brookshire’s The Universe War is an abstract sci-fi graphic novel that’s more surrealism than Star Wars—it’s a visionary treat. Its cut-up style looks like a grammar-school science encyclopedia blew up and John Heartfield put it back together while listening to Radiohead. Yes, it’s that good. And strange. And speaking of strange, perhaps no book in the Blurb bookstore better illustrates the perverse range of the collage art form than this one. From Grande’s meticulous geometrical puzzles to Ashkan Honarvar’s fractured bodies, there’s a heavy dose of the weird throughout as a dozen artists show what can happen when you take razorblade to paper. This is an old favorite of mine. 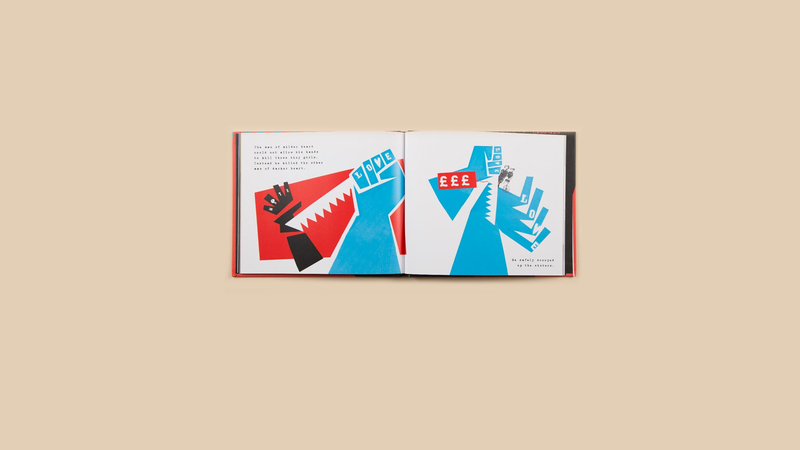 Lucy Haworth’s rendition of Randolph Caldicot’s classic fairytale is both gothic and pop, combining drawn and found elements. 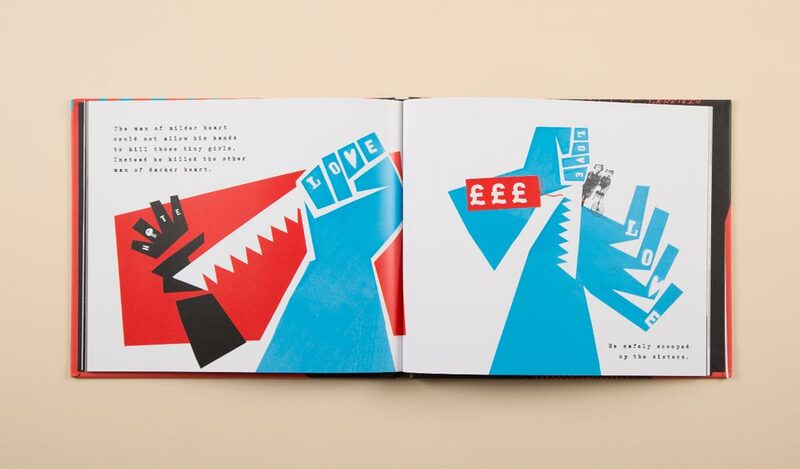 It’s kinetic and utterly gorgeous—a children’s book for the artsy set. The fact that it draws its narrative from a story in the public domain brings the “found” aesthetic to another level. Haven’t picked up scissors and paste in a while? Give it a try and let us know how it goes, in the comments below.